© 2018 Getting Out Our Dreams, Inc./Def Jam Recordings. All rights reserved. We all said it: ''7. That’s it?!'' How will everything we have been waiting for since 2015, be discussed and addressed in only seven tracks? Yet, here we are, 2018 and Pusha T has dropped DAYTONA, and the fans have been rewarded with quality over quantity. Originally one half of the duo The Clipse with Malice (now known as No Malice), Pusha T is not shy about his past life as a drug pusher. As hip-hop has stepped away from the pusher scene and into the user scene, is Pusha’s message still relevant? Starting it off, at the 37-second mark on “If You Know You Know,” I stopped dead in my tracks and audibly said “DAMN IT”... because the beat was old Kanye. The damn track was good, and I was already annoyed with myself for liking it. Pusha delivered a strong message that reminds fans, old and new, that still holds it down. You aren’t named President of G.O.O.D. Music and not have the skills to back-up the titled. Quick rewind, from the jump the track not only has a nice beat, and Pusha isn’t just delivering quick-witted lyrical drive-bys, it also has nods to classic hip-hop. For those who don’t know, De La Soul members are known as Plug 1 (Posdnuos), Plug 2 (Trugoy The Dove) and Plug 3 (Maseo). When I heard the line “Ran off on the plug too like Trugoy,” I respected it. The hip-hop nerd in me felt like that line was for those who know. 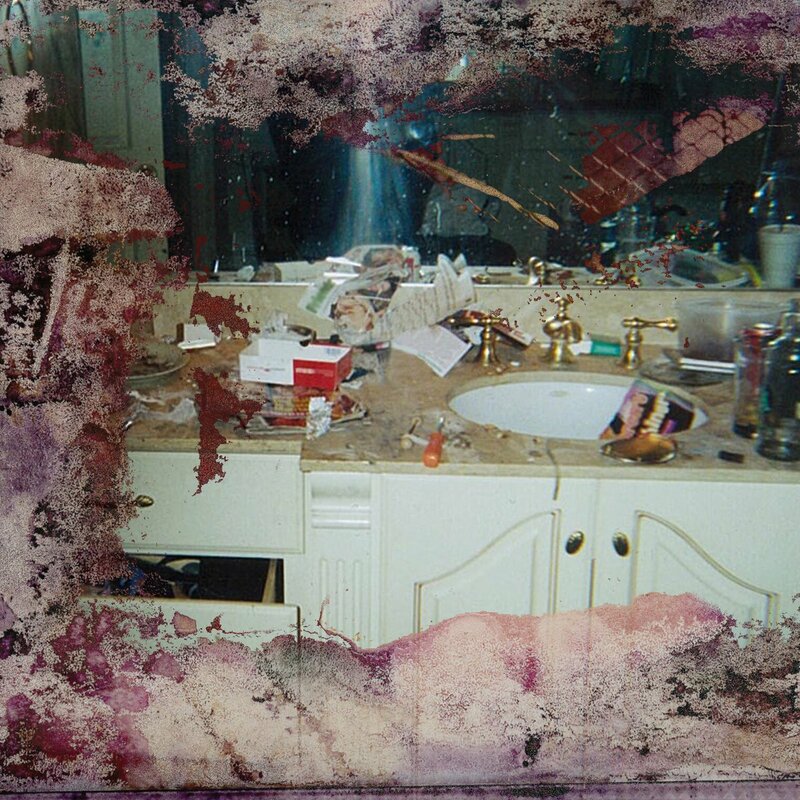 With nods to Puff and Oprah as examples of status, to mentions of notorious drug bosses and making money, Pusha is establishing he lives in two worlds more comfortably than most survive on their daily hustle, and this is only the intro track. While “The Games We Play” isn’t my favorite track on the album (see above to figure out which is), it does have a solid beat, the standard hip-hop bravado and showboating that makes the pusher generation rappers what it is. Let people know what you have and dare them to take it. I’m not mad at the track; I just felt coming off “If You Know You Know,” it sounded a little like more of the same. With only seven tracks to tell a story, two tracks covering similar themes seems to limit to me. However, when you get to the Rick Ross verse, the track does pick up. I should tell you, I don’t f*** with Rick Ross, I find his whole image fake. While I believe that Pusha did push drugs, correction office Rick Ross was too busy being a guard, but in 2018, I came to realize something, it doesn’t matter. I’m not here to care if Rick Ross ever sold a key, I’m here to enjoy a track, and if I take away my hate for fakes, Ross’ verse is solid (probably ghost-written but that’s neither here nor there). “Come Back Baby” has the advantage of a solid sample beat, that Pusha allows coming to the forefront on the chorus. I recently heard someone discuss that using a good sample is like using a cheat code for hip-hop, since people will be down with the track based more on the sample and the beat than the lyrics, but I feel like if you are truly listening to the song and lyrics, a good sample can’t make up for a weak rap. Especially when it’s someone like Pusha, who is living his best life according to the album. If he doesn’t have the lyricism to stack on Ye production, no one is going to pay attention to the album. Using the sample from “I Can't Do Without You” by George Jackson might be a “cheat code” but that’s only useful if you got the skill to match the beat. As much as it made me chuckle, it is a pretty serious lyric about killing people instead of leaving them in a coma, yet somehow Pusha made it almost comedic, something I find both unsettling and entertaining. Combined with 070 Shake in the middle, her somewhat dark yet angelic vocals and that beat changeup, the track holds strong the whole way through. “Santeria” is the track you would want to start your B side with, so the listeners know the game isn’t over. I never paid much mind to Meek Mill, not for lack of talent, more just wasn’t a Maybach Music Group fan, but the track “What Would Meek Do?”, had me a little intrigued. Name dropping Dylan and Akinyele were hilarious moves, but legit hold weight for hip-hop heads. You don’t have to know rap to get these lines, but knowing that Dylan was a foolish rapper on a reality show or that Akinyele has one of the most popular explicit hip-hop anthems, makes the lyrics bring up moments of nostalgia. Meanwhile, the Ye verse is just that… a Ye verse. Well, new Ye that is. The verse sounds like his tweet responses, which is, meh. The only lyric I cared about was “No more hidin' the scars, I show 'em like Seal, right?”. In the unapologetic verse about being who he is, Ye admits he's just open and honest, a sentiment that may be too late for some. Which brings us to the last track on the album, “Infrared.” A lot of people have discussed this track recently since there are lines directed at Drake. Then Drake replied a couple of hours later. Push’s “Infrared” reply to Drake, in all honesty, wasn’t all that strong. This wasn’t Jay-Z and Nas level stuff; this was more Pusha calling Drake out for something that Drake is known to have done, he has used ghostwriters in the past. He is not the only rapper to do so, he won’t be the last to do it, and nowadays, most people don’t care all that much. They say they do, but I haven’t seen it take down a career recently. My other comment on the song is, for a finale, it was good, not great. I wanted that same fire from track 1, that I run this, that this is my house, that real hip hop bravado and I didn’t get it. I got shots fired, but they were rubber bullets, and in the end, it comes across as more marketing than beef. Since BOTH Pusha and Drake are coming to us via Universal Music Group in the end. Every spin on either album or diss track or however they clap back at each other means coins in the UMG coffer. All that to say, I really like the album. Seven songs, five solid tracks, two medium, and none that should be slept on. To my original question of Pusha T’s relevance in 2018, if the user kids are rapping and making money, how much money do you think the pusher is making? User rappers are rich; pusher rappers are wealthy. It doesn’t matter if we think they’re relevant, they’re still gonna sell albums, it just so happens this one is a good one. At the time of the original review, Pusha had not released “The Story of Adidon,” his reply to Drake’s “Duppy Freestyle”. Taking into consideration both tracks, the lyricism and the beats, THIS is the Pusha T I wish was on the album. I’m not sure why Push held back that much, but the surgical precision and direct call out, that’s hip-hop beef. Which makes “Infrared” even more annoying, because Push has always had this potential in him but didn’t deliver it on the album. Let’s hope the other G.O.O.D. Music projects take notes from the public reaction to the latest diss track and get that the people want and deserve an artist best. Don’t be a Todoroki (shoutout to my My Hero Academia fans), use the fireside or get out the ring.